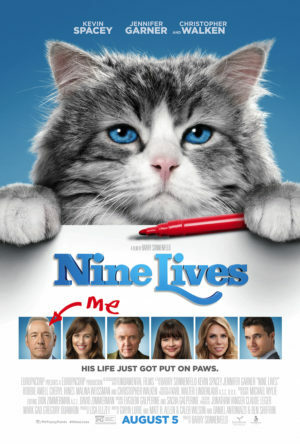 I had the opportunity to do a phone interview sponsored by Europa Corp with Jennifer Garner about her new movie Nine Lives. She was a treat to talk to, exuding that sweetness that you see on screen, addressing that mythical work/life balance of motherhood with grace and also speaking with such respect for her co-workers that I earned an all-new respect for her. When she was talking about that balance and how she made her family a priority, she said “Bedtime is sacred. Reading is sacred.” I felt like I was talking to a kindred spirit. I knew that you booklovers would agree, and I wish I had been able to ask a follow-up about what books she enjoyed sharing with her kids. Please click through to 5 Minutes for Mom to read more about the movie, what she had to say about working with a cat, playing mom roles, family pets and more.